The relationship between people and space, seen as architectural context but also spaces for everyday life, is increasingly important. Including the outdoor dimension. 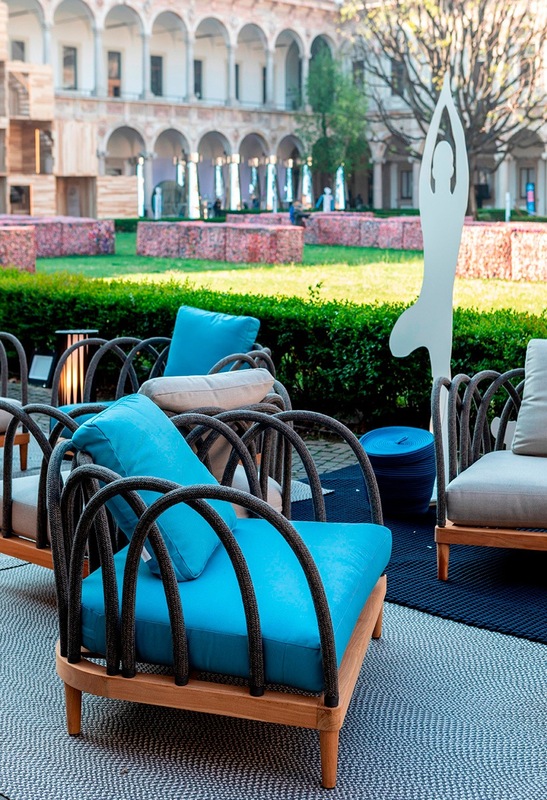 This is the premise behind the project by Marco Acerbis with Unopiù for the three open-air lounges around the lawn of the Cortile d’Onore. The installation calls for the insertion, amidst the various furnishings, of metal silhouettes of human figures in natural size: they establish a dialogue with the visitors who use the seating, creating a game of reflections between people and their replicas as silhouettes in various moments of the day, as if captured by a snapshot. 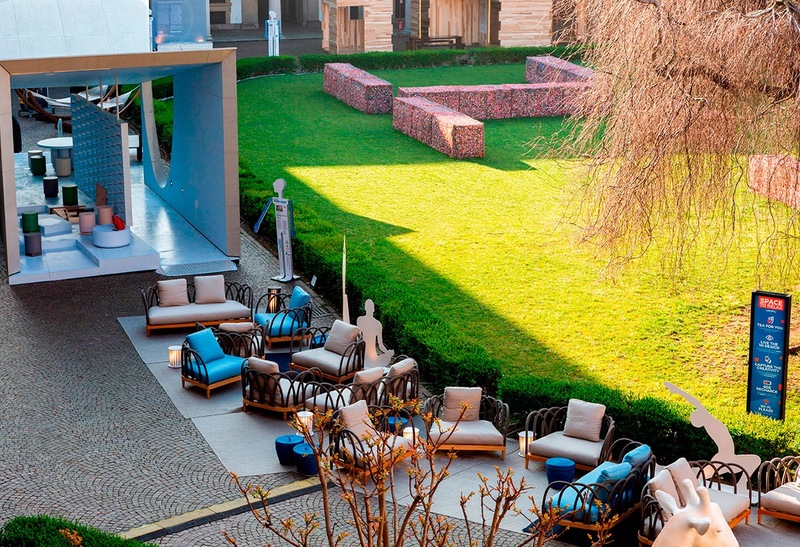 These outdoor lounges become a sort of stage where the activities of social and individual existence – play, relaxation, sports, recreation – are representation and reality at the same time, also in an institutional setting like that of the State University. The lighting at the base of the figures completes the theatrical effect in the evening.